Happy Friday Everyone! 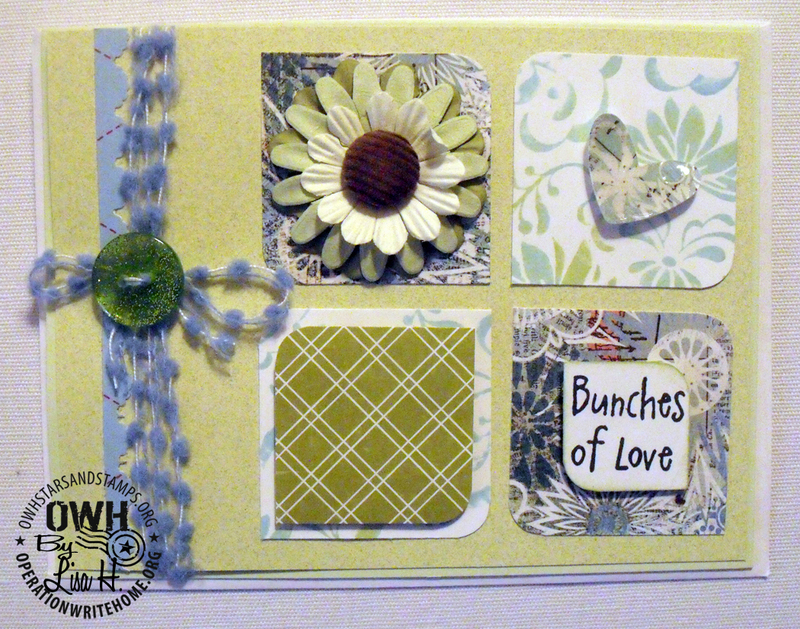 I’m excited to be able to introduce you all to Lisa, this week’s featured cardmaker. Lisa participates in lots of challenges and blogs over at The Purple Place where you can see more of her great work. I visit her on a regular basis and particularly like that she always has cards that show a variety of styles. So say hello to Lisa here in the comments section and take a few minutes to check out her blog for even more inspiration! I started in February of 2007, almost four years. Yes, I now have a wonderful craft room, which is where I spend the majority of my time. After craft supplies started to take over our upstairs den, we simply moved out that furniture, moved in my computer and headed to IKEA to buy bookcases, drawer units and a large craft desk. It took us a few months to put it all together, but it was well worth all the time and I am very thankful to have it. I have too many favorites to be honest. With so many wonderful products on the market, it’s very hard to pick one. I love them ALL and now have a wonderful collection of products to work with. It’s very hard to pick one favorite, but I can say that I’ve fast become a HUGE fan of all the Hero Arts products. I was so impressed that they worked together with OWH to develop the new OWH stamp sets, which I love. I also really love their stamp designs, as well as their papers and card stock. I also love to color and Copics are by far my favorite markers. I’ve already pre-ordered the brand new color collection, that is due out in February. I like a variety of techniques and enjoy taking classes to learn more. I’ve taken several technique classes at my LSS and also online with Jennifer McGuire, Kristina Werner and Suzanne Dean. These ladies are three of my favorite desingers, but there are many more I admire and follow. Purple, Purple and Purple. It’s my favorite color and inspired the name of my blog – ThePurplePlace. 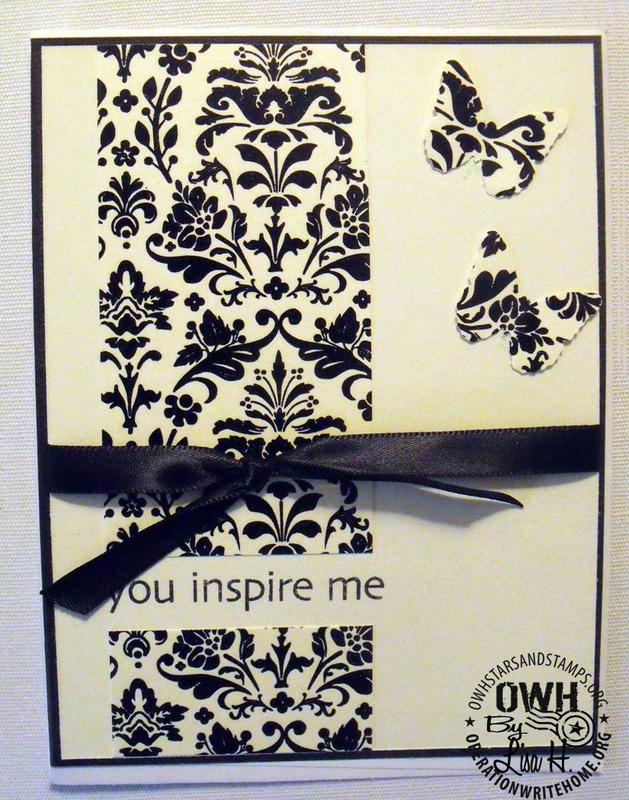 I saw the OWH logo on craft blogs and had wondered what it was about. Right about that time, I met Jan Hunnicutt in an online craft group and asked her what I needed to do to start donating cards. Jan eagerly answered my questions and sent me links to the main site and also the Stars and Stamps Blog. The Heroes are my inspiration and I simply love to create. Beautiful cards. I cant really pick a fav. The first one is adorable and I like the colors that you used. Very nice. TFS! So so hard to pick a favorite Lisa – You do such incredible work! I really do like them all – the black and white with the butterfly – incredible – but I have to say you idea of creating negative space on the penants – that one is going to get copied! Brilliant! Lisa, Great cards for your presentation. 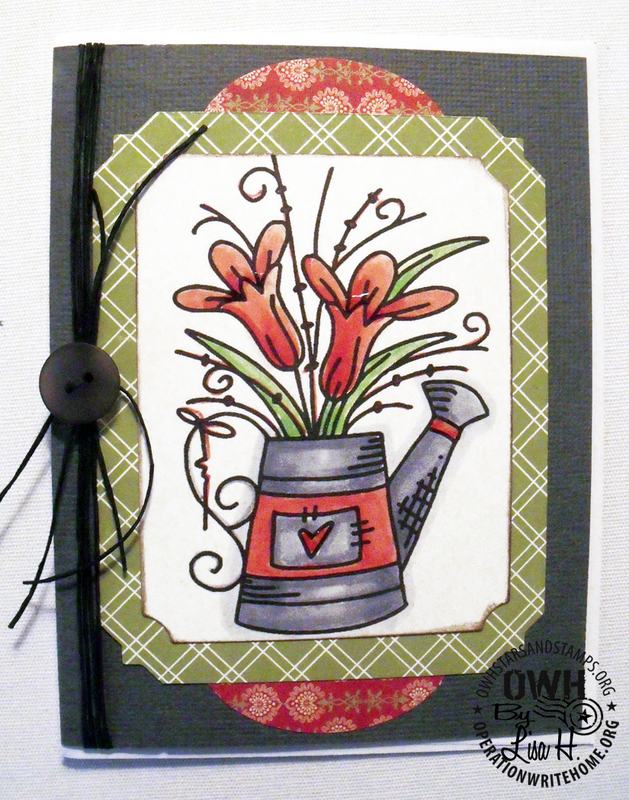 We are lucky to have you as our featured stamper this week. Your cards are always so beautiful and you display a wide array of techniques and styles. Enjoy your weekend. This is a beautiful group of cards Lisa! I truly do love the fact that you vary your style and your cards contain such a variety of techniques from your great coloring to paper piecing. It's also so evident that you put a lot of effort into choosing just the right finishing touches for your cards, making each one special. Thanks for letting me share your cards this week! Wow Lisa, all of your cards are so nice. What a great variety of techniques to share with us. Great job. Great cards. Love the variety, they are all so different. Hard to pick a favorite, but I liked the black and white card a lot. Pat K.
Lisa, your cards are all so beautiful. So happy for you that you are featured here. Thank you for sharing your beautiful cards. Your blog is one of my favorites to follow, Lisa! I love not only seeing what you've created but also how you do it! And I appreciate how you faithfully participate in our challenges here at S & S! You're a gem! 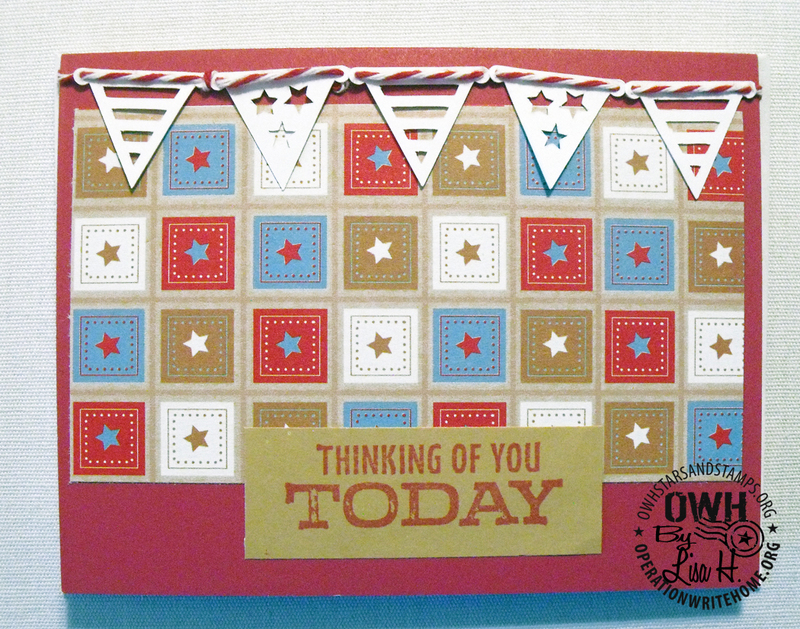 Congrats my fellow crafter, love visiting your blog and seeing your awesome crafts. You are a treasure. I am blessed to have met you. Thanks for all that you do in our creative community. Thank you ALL so much for the wonderful comments! 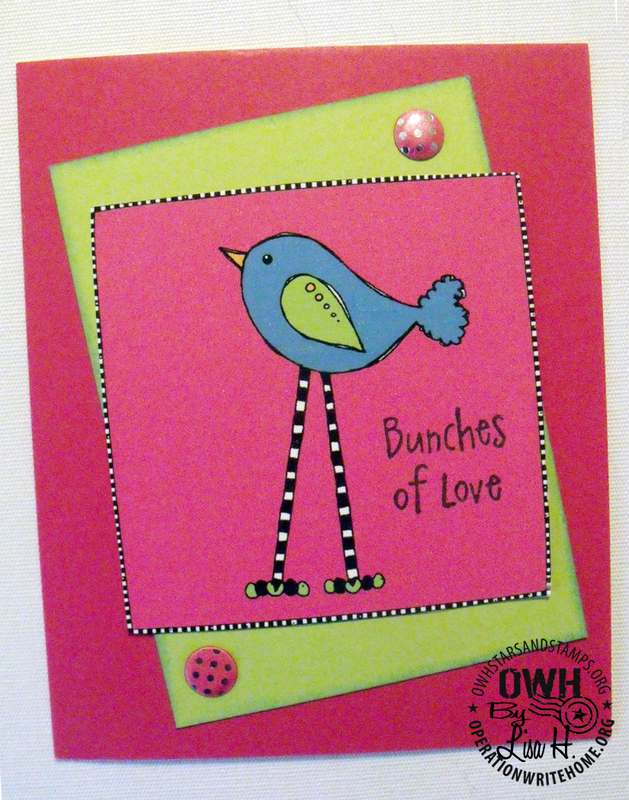 !I'm so honored to have been given this opportunity and truly love creating and making cards for OWH!! Wow! Lovely work… and a fellow crafter from the North Shore!